A Chilean plant that supposedly uses its razor-sharp thorns to trap and kill sheep is blooming at Ontario's Royal Botanical Gardens for the first time since it was planted in 1986. 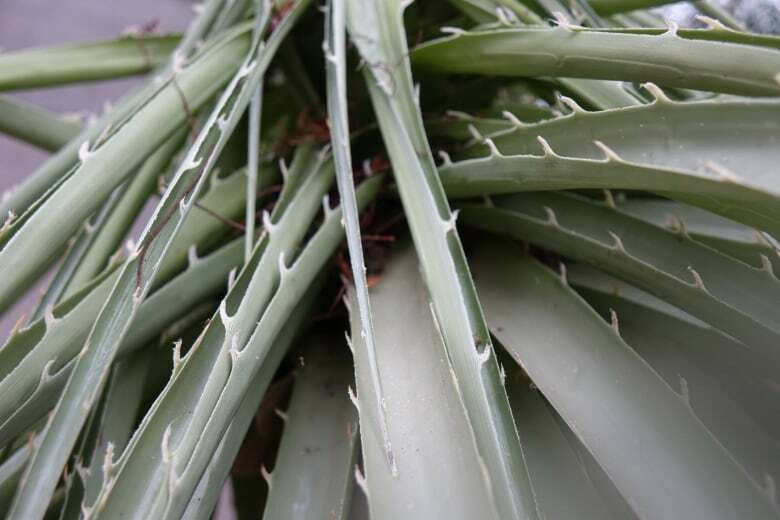 A Chilean plant with potentially deadly "razor-sharp spines" has bloomed at Canada's Royal Botanical Gardens for the first time since it was planted in 1986. "For me, this is a once-in-a-lifetime or once-in-a-career event, so it's pretty exciting," Alex Henderson, the horticulturalist who tends to the plant, told As It Happens host Carol Off. "It really is a stunning thing. You know, you take one look at it and it's really not like anything you've ever seen at all." 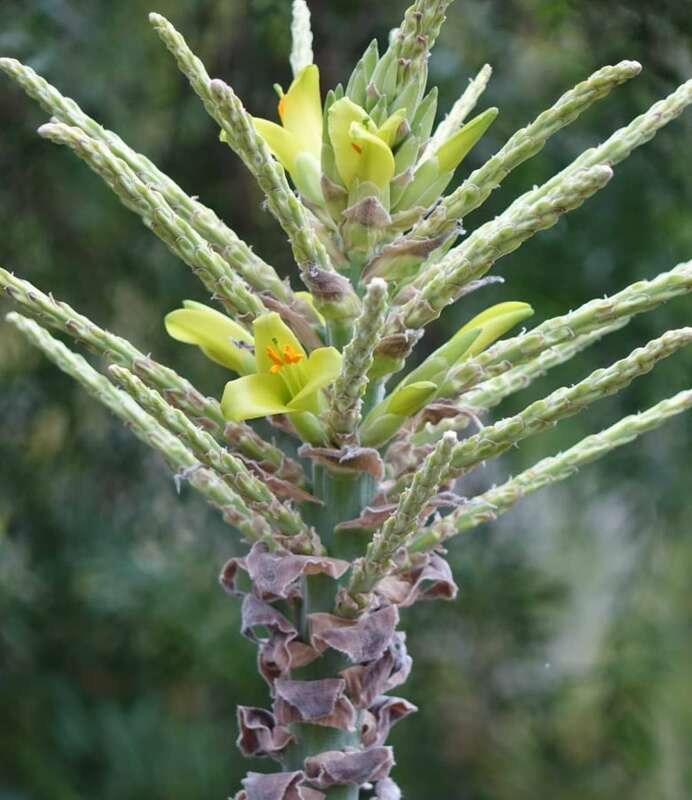 It can reach two metres in height and it's called Puya chilensis. But in its native Chile, it's better known as the "sheep-eating plant" due to the theory that it sometimes uses its defensive spikes for offensive purposes. According to one theory, sheep and other small animals become ensnared by Puya chilensis' sharp spines, starve to death, then decompose — ultimately becoming fertilizer for the plant. "I don't think there's ever been a documented account of this, but I've read information and literature to the effect that shepherds in Chile will actually burn the plan to protect the flocks," Henderson said. "It's also noted in a couple very, very renowned scientific texts, as well. And I was actually working with the plant the other day and I nearly cut my hand open on it, so I can imagine if you got caught in that you would never, ever get out again." Birds are also said to meet a grisly end when they get too close to the plant, Henderson said. "It's quite a sinister plant when you think about it like that, because it allows the bird to come along and pollinate it and then gets rid of it after the fact." 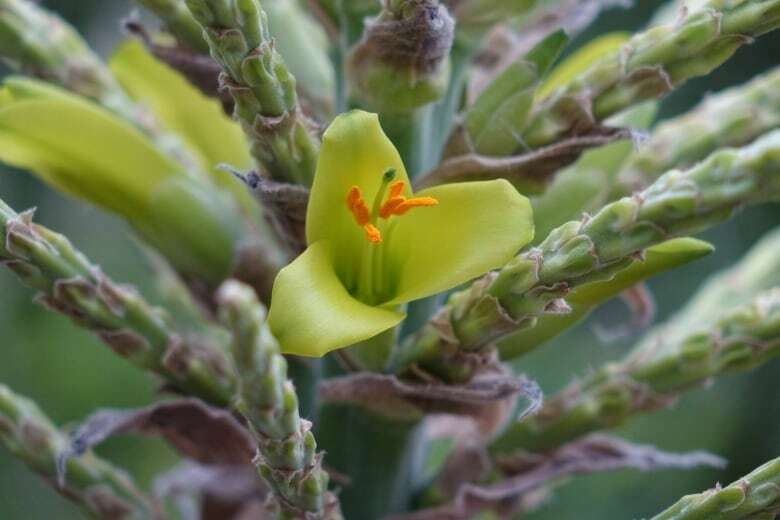 Henderson said if the theory proves true, that doesn't make Puya chilensis a carnivore — at least not yet. "It's actually classified as potentially a proto-carnivorous plant, which essentially means that through this plant's evolutionary path it might be evolving towards carnivory," he said. Watching the plant bloom is a rare treat — but it's also bittersweet. Henderson and his colleagues are working to pollinate it and get some seedlings, or stimulate root production to make some "pups" — because once it's done blooming, likely in a week or so, it will die. "So no pressure, right?" Henderson said. Royal Botanical Gardens, the largest botanical garden in Canada, straddles Hamilton and Burlington, Ont.